When it comes to wagons, the Volkswagen Golf SportWagen sets the bar high. Take advantage of the ample space for cargo – from camping gear to bikes, this wagon is equipped to help you with almost any activity. And the spacious, comfortable seats allow you to relax after a day of fun. 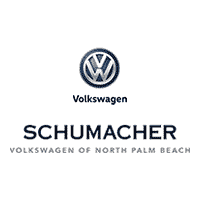 Whether you’re exploring the streets of North Palm Beach, Florida, or venturing outside of your comfort zone, the VW Golf SportWagen is your perfect companion. *View IIHS at www.iihs.org. **View NHTSA at www.nhtsa.gov. ***For more information, visit https://cars.usnews.com/cars-trucks/volkswagen/golf-sportwagen. 2018 Volkswagen Golf SportWagen SEL Deep Black Pearl Metallic CARFAX One-Owner. Clean CARFAX. FWD 6-Speed Automatic with Tiptronic 1.8L TSI 24/33 City/Highway MPG Come Join the Family! !